Going into a debt consolidation program is a great way to manage your finances especially when you are looking at multiple credit card debts. 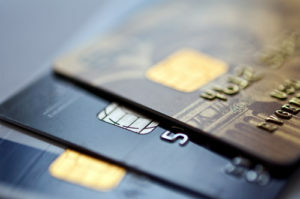 Fortune shared that the credit card debt in the country has breached $1 trillion which is the highest it has been since the 2008 financial crisis. Debt consolidation can help you gain an advantage in managing your payments by simply consolidating your obligations under one account. If you are looking at multiple credit card debt, you can combine all those in one card that carries the lowest interest rate. You can even use a 0% introductory rate offered by some lenders. If you have multiple credit card debt, here are a few of the benefits of combining your payments under one account. Going into a debt consolidation program to manage your credit card payments will make sense if you are aiming to put some sense of order in your payment schedule. This means that you have the ability to pay each of them and the problem lies in ensuring all of them are paid every month. This usually happens when you have too much credit card debt to think about and the payment due dates are starting to confuse you. Consolidating your credit card debt obligations and putting them all under one account gives you the chance to focus your efforts on one payment amount send out on one due date. Compared to juggling multiple payments all at the same time, consolidation gives you a clearer picture of your debt payments. One of the challenges you face when you have to deal with multiple payments every month is sending one check meant for one lender to another lender. Mixing one payment meant for one lender with another creditor can create a lot of problems for you. Unless they are exactly the same amount, you stand to face penalties and additional charges with one of them. What usually happens is you send one lender a higher amount and you send another a lower payment. You do not have to worry about the first one when the case is an overpayment. Your lender will simply treat that as such and deduct it from your next billing statement. The problem lies with the other one where you sent a lower than desired payment. There might be a chance to try and talk to them about it and explain what happened but that may not be able to stop your lender from assessing fees and penalties on the succeeding statement. This would lead to higher payments making things more challenging than they already are for you. Apart from helping prevent a payment mix-up, getting into a debt consolidation program can help you lower the chances of totally missing a payment. The National Foundation for Credit Counseling shared that about 24% of American adults do not pay their bills on time. If you are at your wit’s end trying to keep up with multiple payments every month, you are bound to miss out on one payment if you are already late with most of them and the sad part is you usually realize it when it’s already too late. Financial stress affects a lot of people and it can ripple out to several areas of your life. Outside your finances, it can affect your physical and even mental health. Constantly thinking about your payments if everything is in order can cause sleepless nights, anxiety as well as depression. Consolidating your credit card debt under one account allows you to focus your attention on one lender making financial management a little easier for you. A debt consolidation program also gives you the chance to stay on a budget because you are able to control your payments every month. Provided that you are able to resist the temptation of adding more debt, combining your credit card payables under one lender keeps your payment amount consistent for months to come. Consistency is one of the factors that will make your household budget easier to manage. The more consistent your income is as well as payment amounts, the better you can plan and plot your budget. This also gives you the chance to plan further out such as months ahead into your finances. The further out you get to plan your budget, the easier money management gets. One of the main reasons why people choose to get into a debt consolidation program with their credit card debts is to save money from interest payment. They are able to do this simply because they are able to lower down their interest rate. For a lot of consumers, credit card debt consolidation means taking advantage of 0% rates being given by lenders. One thing you need to understand with this approach is that these 0% rates are mostly an introductory offer. This simply means that after a given period of time, it ends and the interest rate changes. There is a good chance that it can even be higher than what your original rate is with your previous credit card lenders. It is best to use this limited timeframe to your advantage and pay off your card as quickly as you can. This helps you save money that would otherwise have been spent on interest payment. That money can even be allocated over to investments. It can be used for your reserve funds or even for your retirement fund. There are times when you are too focused on managing multiple payments that you start to overlook your credit score. You only get the chance to take a look at it in times when you need it. This is usually when you are about to take out a loan and find out that you are either denied or given a high interest on the loan because of your low score. One reason for this is the fact that your credit report works in the background as you go about your finances. It is an accumulation of how you manage your finances bundled into three numbers. Value Penguin shared that average FICO score for American consumers is at 695 and 673 for Vantage score. Debt consolidation helps you maintain or improve your score simply because it makes payment a lot easier for you. As you focus on one payment, you lower down the chances of missing your payments. You need to understand that on-time payment is a big factor in computing your credit score. As you make on-time payments, your score is able to improve over time. Enrolling into a debt consolidation program to get a handle on your credit card debt is a great way to manage your finances. The more proactive you are in ensuring your financial house is in order, the better and stronger your funds will be in the future.